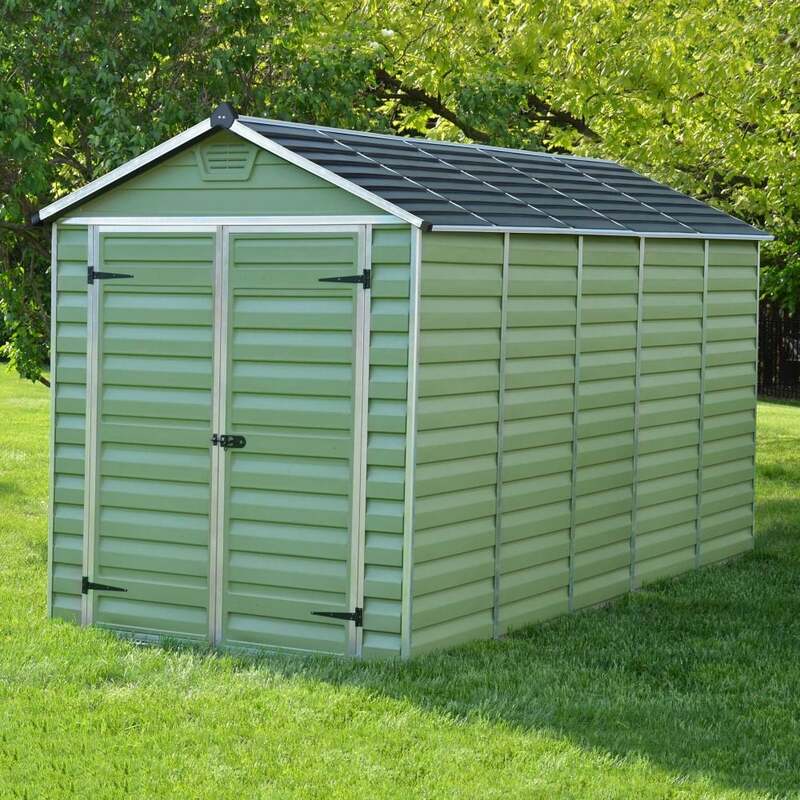 Mercia 12 x 6 Green Apex Plastic Shed: The 12 x 6 Mercia shed is the largest in the Absco range, this grand design boasts ample storage space for all your garden equipment. The Mercia outdoor shed is constructed using durable polycarbonate sheets designed to withstand adverse weather conditions and features rust free aluminium framing to provide for additional strength. The shed is delivered flat packed for easy self-assembly and features an innovative slide and lock panelling system for a straightforward installation. The 12 x 6 Mercia shed features a unique skylight roof which allows natural light into the garden shed and also an anti-slip, easy grip plastic floor. Please note -Images are dressed and painted for display purposes only. All listed metric dimensions listed below include the roof overhang.